Colombia’s Supreme Court ordered the country’s government to put its money where its mouth is and reduce the deforestation of its Amazon forest to zero before 2020. The court ruled 4-3 in favor of a group of 25 youth who sued the Colombian government for its failure to protect the Amazon forest and contributing to climate change, which endangers their generation’s future. 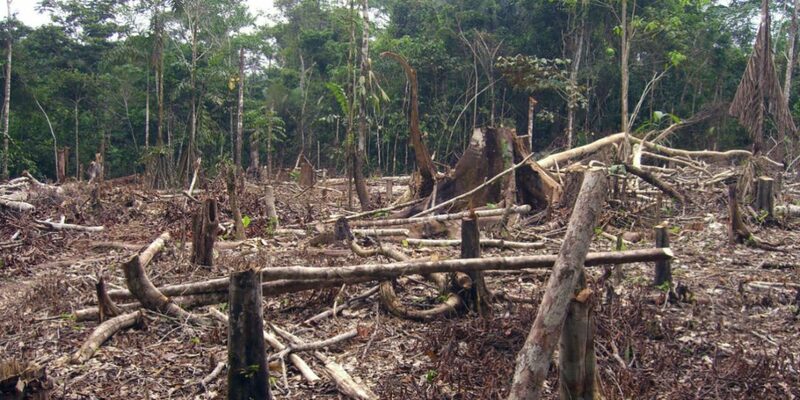 Despite the government’s and business community’s international commitments to curb deforestation, recent statistics showed that the country lost 178,597 acres of forests in 2016, an increase of 44% from the year before. The demobilization of the FARC, whose guerrilla rule prohibited for example logging and poaching, proved a disaster for the amazon as the government failed to assume territorial control. The plaintiffs argued that the government’s failure to protect the environment put future generations at risk of climate change’s worst effects. They demanded the public be involved in the creation of an “intergenerational plan” to completely stop deforestation by 2020. The government also has to include the participation of plaintiffs, affected communities, and scientific research organizations as part of the process. The youth group’s case was supported and filed by the advocacy group Dejusticia. “We were thrilled with the result,” said Dejusticia researcher Camila Bustos. “The ruling was beautifully written, and it’s refreshing and novel on the importance of nature, not only for humans but also its intrinsic value. And it recognizes the rights of the future generations.” Bustos added. The Inter-American Court of Human Rights set the precedent for this case in February with its landmark opinion that equated environmental protection with human rights. The opinion was considered advisory because it didn’t rule on a legal dispute, but clearly affected Colombia’s Supreme Court’s interpretation linking the environment with human rights. The government cannot appeal the Supreme Court’s decision, but since the case was filed as a claim of citizens constitutional rights violation, it could be selected by the Constitutional Court for review because climate cases are uncommon, according to Dejusticia. Colombia’s government now has five months to create the plan to stop deforestation by 2020.